Maybe Now is a follow-up novel to Maybe Someday. It follows the cast of characters as they navigate new relationships and old friendships. Follow along with thousands of others in this live-action book club as Colleen Hoover writes chapters and uploads them to the Wattpad platform. Click here to join the Facebook group to be part of this unique and addictive writing process. 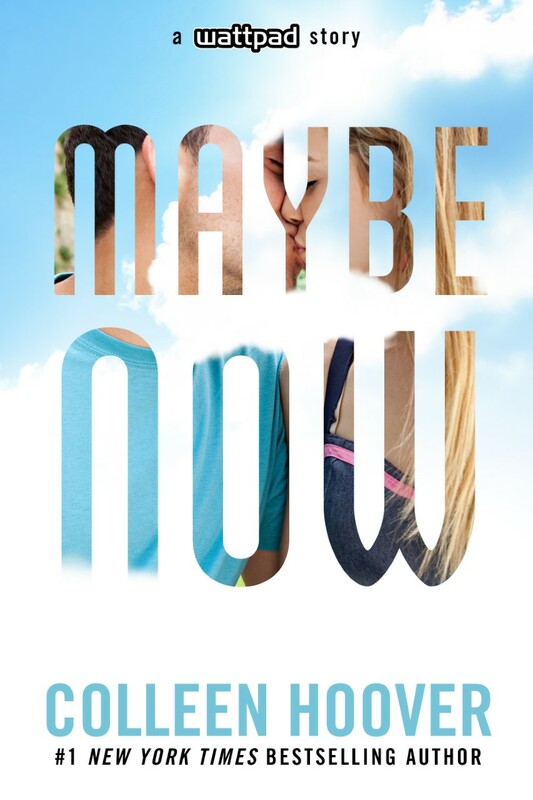 Click here to read Maybe Now from the Wattpad platform. *Maybe Now is a follow-up to Maybe Someday, which means Maybe Someday should be read first. Maybe NOT is a companion novel to both books and can be read 2nd to 3rd behind Maybe Someday, or not at all. I’d just like to say I’m loving the experience of reading Meow live with a discussion group. I’ve read Anna Todd’s Nothing More and Nothing Less live, but this is a whole new level of exciting! Thanks, Colleen! so maybe now is not a book? It is a book. It just on a free website called Wattpad. Will “Maybe Now” be released once complete on other platforms like iBooks or Amazon? I wanna know too!!! I hope it does I want a paperback for my collection pleaseeeeee!!! Is maybe now not complete? I was really loving it and then I see, TO BE CONTINUED! I hope I’m doing something wrong I really want to finish this story. Aww. I’ve read it the other way around. 3. Maybe Now ( Haven’t read it yet). Tho. I’m not confuse with how the story goes so far. Seriously love this series! Can’t wait for new chapters of Maybe Now! I’m loving this books series! So I’m just curious as to when maybe now will be updated. The last update was June 10th on Wattpad. Also is Wattpad the only place we can read it? Thanks Colleen! I would like to know if Maybe Now is still unfinushed? I just started reading it yesterday and I got to the point where it says to be continued. Should I check for more, or that’s how the story ends? Hi I just wanted to say I really hope you continue writing Maybe Now because I would really like to know what happens with everyone! Is this story still being updated???? I really love it and want an update soooo badly!!! Its an amazing story and I recommend it to everyone. When will the next chapters be released? I really loved your book Maybe Someday.. I am kind of obsessed with the Sydney and Ridge and their love story. Do you have a mailing list so I can get an update when this book is done and printed on paper? I’m old school and need actual BOOKS! I am the same as you! I hope they print it and sale it as an actual book. When will Maybe Now be sold in paperback? Estou ficando louca , estava lendo pelo wattpad porém saiu do ar as histórias ! Estou quase morrendo pq não consigo parar de ler … preciso desse livro urgente , alguém sabe qnd sera lançado em livro físico ??? I’ve been reading on wattpad but all of a sudden its not there! Was it taken down?